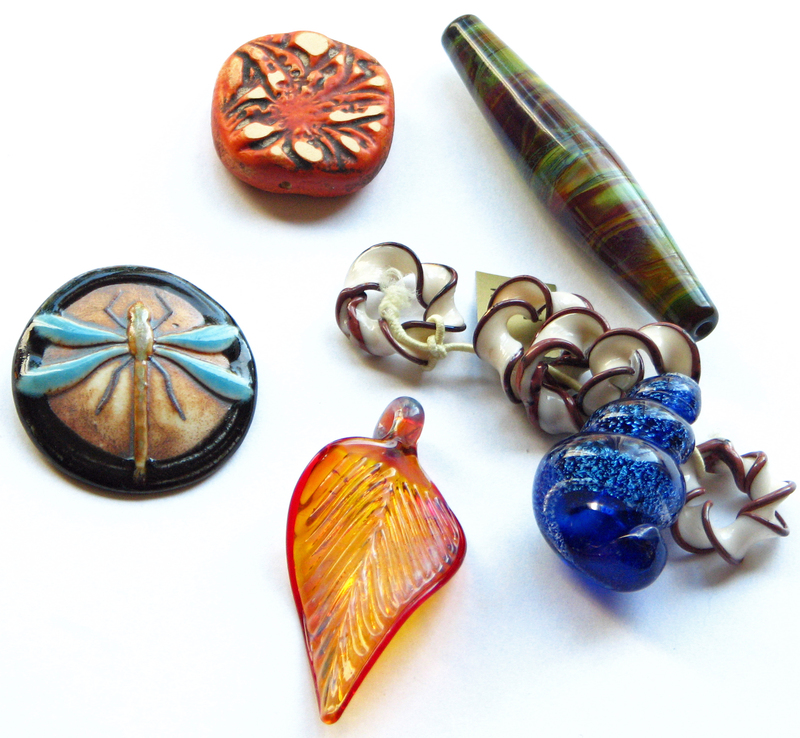 The rust colored bead, (top, left) is a dandelion bead by polymer clay artist Heather Powers. The long tube-shaped bead was created by Olympia, WA glass artist Scott Parrish. It has the most gorgeous swirls of purple, green, and rust. The ceramic dragon-fly pendant is from Raven’s Journey in Port Angeles, WA. The brown and cream twisted rings are called pretzel beads and creating with them will be just as fun as munching on pretzels! The pretzels, the blue shell and the leaf are all creations of Unicorn Beads. What a joy it will be to create jewelry with these beads. It is a collaborative process with the artist who made them. This entry was posted in Art Beads and Components, Jewelry Shows and Events and tagged Art Beads, Beads, jewelry supplies, Pacific Northwest Bead Festival by Linda Landig. Bookmark the permalink. I thought you would like this post – hehe!!! I hope you do go next year. Or…it’s still on today for a little while yet…..